One thing we learned, that when you have chickens (or other poultry) you have extra food around. As efficient as they are, they don’t always clean up after themselves. We have been battling rats for the past year. If they were only in the chicken yard, I would be upset, but the fact that they are getting in my vegetable garden, I am livid. 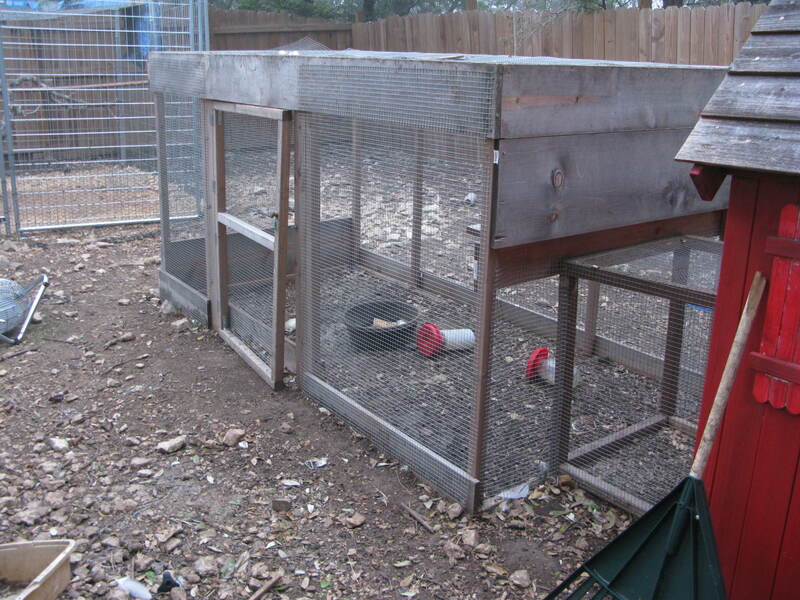 We built a giant cage a few years ago that is deer, rabbit and bird proof. 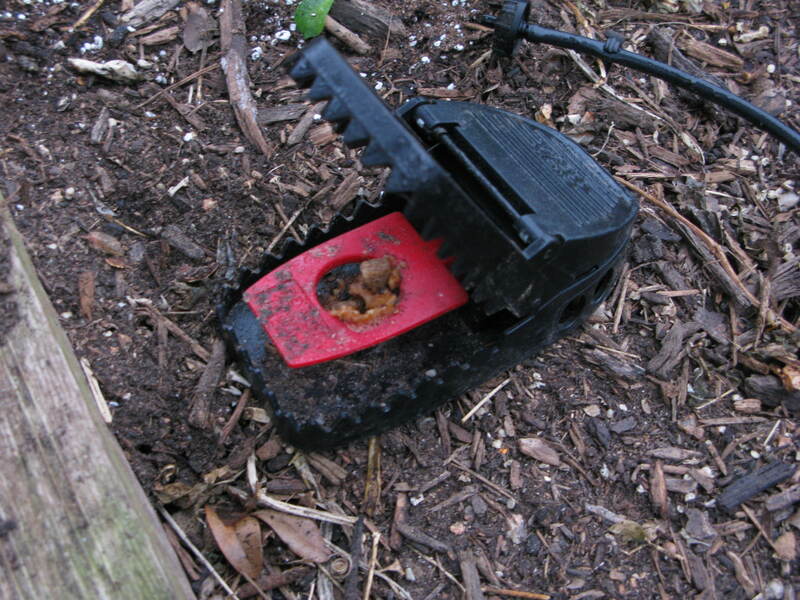 It turns out, that it is not rat proof. A full size rat can squeeze down to 1/2″. That is not a very big opening, and pretty hard to prevent them from getting everywhere. It turns out that the rat problem in the Austin area has been worse due to the drought. The drought kills animals, both rats and their predators. Rats, however, recover much faster. The speed in which they reproduce can quickly cause an infestation, with no natural predators around. A few months ago we rescued 2 cats. One is a great ratter, and one not so much. 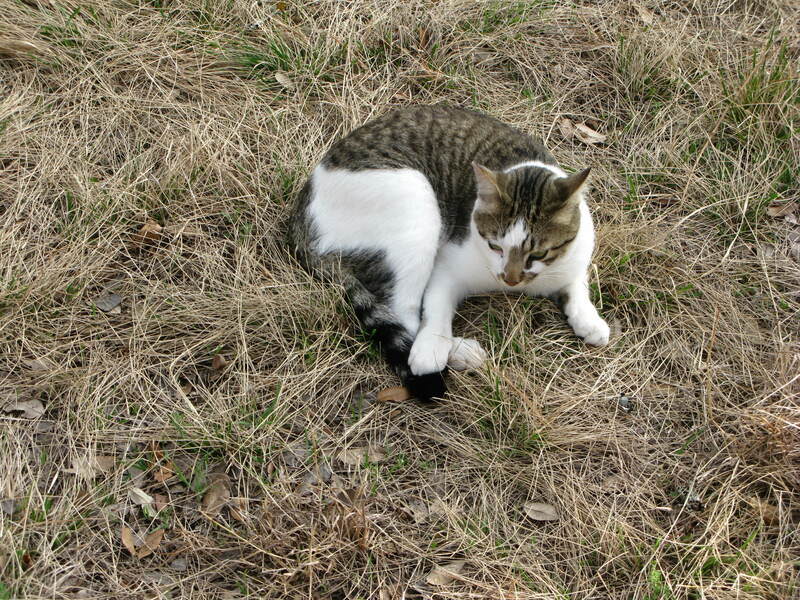 Carl (above) is quite a hunter. His only flaw is that he has a tendency to bring live rats in the house. The first few times I jumped up on a chair, but it’s amazing what you can get used to given enough exposure. Carl has been helping, but it’s way too big a task for him singlehandedly. We have been setting traps nightly. We go through phases where we catch a bunch and then things will be quiet for a while. The trick is to find out the rats natural path and set the traps. We have found these traps to be the most effective. 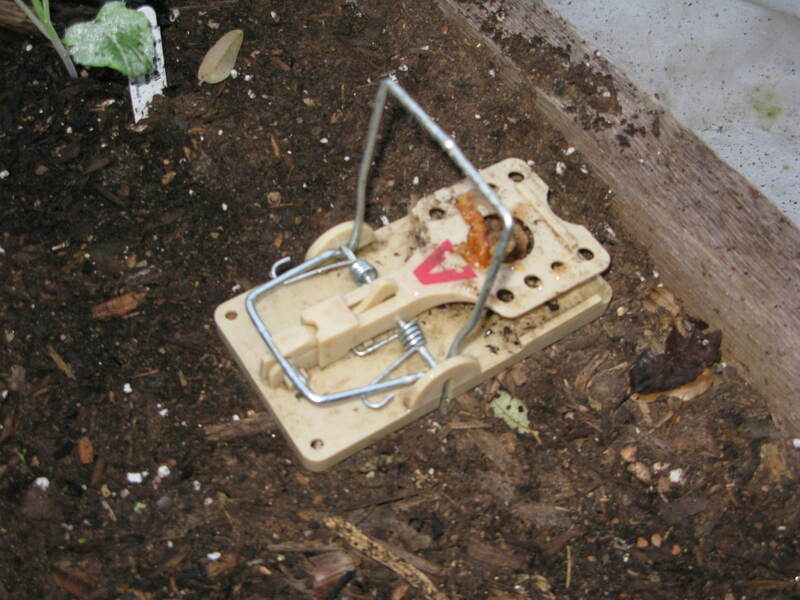 I set traps in the vegetable garden as well as in the chicken yard. Since we don’t want to accidentally catch a chicken, we have used one of our extra coops (the mom and baby coop which is currently empty). Each night I sprinkle a little food in there and set a few traps. If you care to look closely you can see where we caught 2 rats last night. It’s a slow process, I’ve heard it can take years, but we just have to keep at it. The one thing you don’t want to do is poison the rats. When the predator eats the poisoned rat, there is often enough poison to kill the natural predator as well.